ESET®, a global pioneer in proactive protection for more than two decades, released today all new version of ESET Social Media Scanner for Facebook and Twitter. 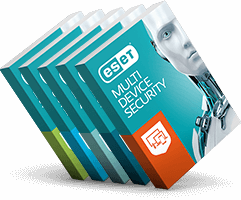 It comes with completely reworked graphic user interface and improved detection, adding another layer of protection to ESET’s security solutions offering − and is available completely for free. ESET Social Media Scanner is currently used by more than 150 thousand users and detects more than 28 thousand malicious or suspicious links daily on Facebook and 10 thousand malicious or suspicious links on Twitter. “We found out that Facebook users are more than three times more likely to stumble across malicious or suspicious links than Twitter users. The reason why Facebook is more targeted by cyber criminals is the platform’s large user base, accounts with connected credit cards and the amount of shared, often private data including home address, e-mail or current location,” said Mário Turner, ESET Social Media Scanner product manager. Of all malicious and suspicious links 73 percent were detected on Facebook and the rest on Twitter. The new version of ESET Social Media Scanner comes with improved detection of malicious and suspicious objects, online presence functionality displaying information about user’s status in particular categories and responsive design, making it easy to use across mobile platforms. The automatic scan function which runs regularly in the background protects users against malicious content in real time. The application and all its features is available completely for free.